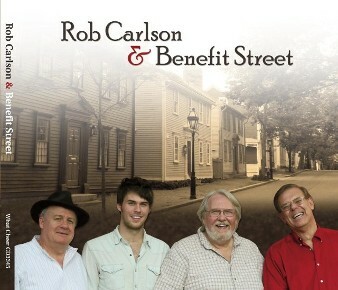 LATEST NEWS: Rob Carlson & Benefit Street is back on stage! We're kicking off 2019 with Traditionsfest, a benefit concert for WFDU's Traditions radio program at the Hurdy Gurdy Folk Music Club in Fair Lawn, NJ, on Saturday, January 5th. We'll be co-headlining with Christine Lavin and others. The members of The Benefit Street Band have been busy with side projects. Rob Carlson has a new duet album with Beth Bradley on Inverted Turtle Records, and is working on a new solo album; some tracks are now available! Vin Pasternak's new album, "The Barcelona Note Book," has just been released to excellent reviews. Paul Payton is working on a solo album of instrumental compositions, "somewhere between rock and new age" - more details to come! 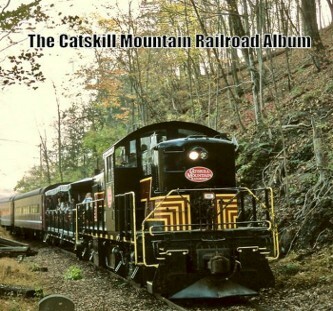 Also, a new single, a collaboration with Rob, "Catskill Mountain Railroad Train," is now on Soundcloud: https://soundcloud.com/country-paul/catskill-mt-railroad-train-paul-payton-ft-rob-carlson-vocals. Hope you like it! FABULOUS DUDES NEWS: guest lead vocalist Bobby Nelson, who sang on "The Fabulous Dudes" and "Wendy," passed away on July 26, 2018. In tribute, "Wendy," which appears on the group's CD with essentially a demo instrumental track behind it, now has a full band and has been uploaded to Soundcloud. Here it here: https://soundcloud.com/country-paul and enjoy Bobby's great rock 'n' roll voice in a new setting! Finally, there's a holiday "editorial" at the bottom of the page, including a wish for a meaningful season for all! EXCLUSIVE BONUS TRACK: the final studio recording by Rob's former group, Modern Man: "Los Geezers del Amor." Read Rob's comments on the new album here. "Congratulations again on the CD -- great tunes, fun lyrics, I will enjoy listening again and again." 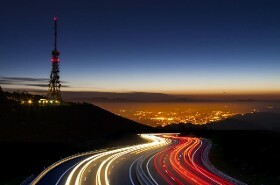 "I've been listening to your music and enjoying. Especially liked 'Benefit Street & Me." "Congratulations...so much good stuff! " ROB CARLSON & BENEFIT STREET (What Cheer CD3345, co-produced by Presence and Inverted Turtle Records) is the first album from singer-songwriter Rob Carlson with his new band, sharing its name (and its keyboardist Paul Payton) with his long-ago group of the same name. Hear songs and buy downloads or full CDs at Bandcamp or CD Baby. More about this and other Rob Carlson and Modern Man albums at www.robcarlsonmusic.com. 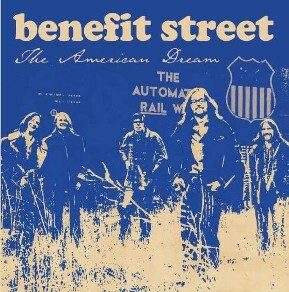 BENEFIT STREET/ THE AMERICAN DREAM (Presence PCD3301) was an original music band from New England who, as The American Dream, had a top ten single in Rhode Island in 1967 but the rest of whose music, although unreleased, received extensive airplay on local FM radio. Their music has never before been compiled until this unique collectors' album, which also contains previously-unheard demos and an 8-page historical booklet! Click here for the full track list and to begin the band's story. Hear excerpts and buy downloads or full CDs at CD Baby. The group is in the Rhode Island Music Hall of Fame. More Rob Carlson & Benefit Street performances to be announced - keep checking in! 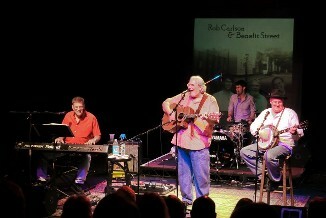 Please "like" Rob Carlson & The Benefit Street Band on Facebook. Thanks! 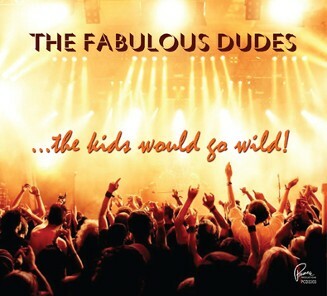 THE FABULOUS DUDES, "The Kids Would Go Wild!" (Presence PCD3303), presents 14 new original group harmony (doo-wop) tracks that could have been hits had they come out in the '50s and early '60s. For more information about the group, song titles, etc. click on the group's home page, the stories behind the songs and lyrics, and some of the comments from their friends and fans. You can hear and download songs, the entire digital album or buy the CD at Bandcamp and CD Baby.